Caregiving is an all-consuming responsibility, whether you’re doing hands-on personal care or managing care from a distance. That puts you at risk for compassion fatigue. Compassion fatigue can be a side effect of caring for someone in need. It causes physical and emotional exhaustion and reduces the ability to empathize. It’s common in doctors, nurses, and other health professionals and is called secondary traumatic stress. You basically get stressed from continually helping or wanting to help others who are suffering. If it’s not managed, compassion fatigue significantly worsens your health and well-being. It also reduces your ability to care for your older adult. You can’t be engaged, warm, and caring because you just don’t have it in you anymore. To protect yourself, it’s essential to learn good self-care strategies and coping techniques. We explain how it’s different from caregiver burnout, share the symptoms to watch for, and give 8 tips for how to cope with compassion fatigue. Compassion fatigue and burnout have similar symptoms, but there are some key differences. Burnout usually develops over time. Top signs of burnout include emotional and physical exhaustion, feelings of negativity and indifference, and feeling like you’re not getting the job done. Compassion fatigue happens when you become traumatized by your older adult’s suffering. It can come on more quickly than burnout. You may still feel empathy and the desire to help, but you might feel overwhelmed by the symptoms. It can also lead to burnout. Compassion fatigue is basically a chronic, low level cloud over the care and concern you have for your older adult. When you overuse your compassion without taking time to regularly recharge, the ability to feel and care for others becomes worn down. Your level of stress and how you feel about caregiving can change from day to day and may also depend on your older adult’s health. By regularly making notes on how you’re feeling, you can track your stress and compassion fatigue levels over time. You could rate how you feel on a scale of 1-10. For example, if you’re usually feeling irritated and overwhelmed as well as having trouble sleeping due to worry, you might decide that you’re at a 7 and jot down a few top symptoms. The scale is up to you – a 1 could mean no symptoms at all, a 5 could be a variety of symptoms that come and go, and a 10 could be that your symptoms are so severe and unrelenting that your health is at serious risk. Keeping an eye on your compassion fatigue levels and top symptoms helps you notice and take action before you reach a severe stage, like a 9 or 10. Taking care of yourself isn’t a luxury. Self-care is essential for long term caregiving. It keeps you mentally and physically healthy and protects against compassion fatigue. It might feel selfish to take time for yourself, but if you’re run-down, overwhelmed, and have a short temper, that will definitely come through when you’re caring for your older adult. When you’re feeling healthy, you’re able to be a better caregiver. 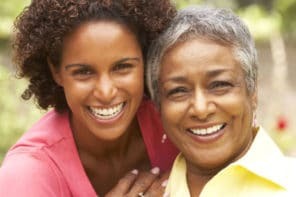 An important part of maintaining balance while caregiving is to keep up your social connections. This helps prevent loneliness, isolation, and depression. Spending time with friends chatting, sharing a meal, or taking a walk together are great ways to de-stress and take your mind away from caregiving worries. Caregiver support groups are filled with people in similar situations – they’ll truly understand what you’re going through. Participating in online or in-person caregiver support groups can significantly improve your quality of life because you’ll feel less alone and be able to get advice on handling difficult situations, vent frustrations, learn new coping skills, and more. 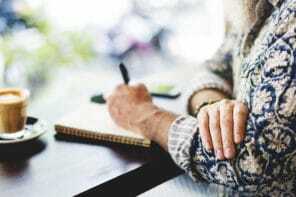 An effective stress reduction technique that’s perfect for caregivers is journaling. Writing in a journal is free, takes as much or as little time as you’ve got, and can be done anywhere. Getting your thoughts and feelings down on paper and out of your head has been found to be very therapeutic. Journaling helps you process thoughts and emotions and can even help you find solutions to challenges or make tough decisions. After a tough day, it’s tempting to plop down in front of the TV with a bag of chips or cookies and a bottle of wine, but those aren’t positive coping techniques. Instead, put together a list of go-to coping strategies that are positive and healthy. The idea is to do things that will make you feel better in the short term and improve your health and well-being in the long term. Before you were a caregiver, there were hobbies and activities that you enjoyed. Regularly taking time for those activities is a great way to take a break from caring for your older adult. This improves quality of life and reduces the risk of compassion fatigue because it’s something fun and creative that you do just for yourself – and isn’t related to caregiving, work, or chores. If your compassion fatigue levels are increasing, talking with a counselor or therapist can bring relief. can bring relief. They help people deal with negative thinking, stress, depression, anxiety, major life changes, and more. A therapist can guide you toward effective ways to reduce compassion fatigue and manage the tough emotions that come with being a caregiver. Thank you for all the tips daily. This has been on my mind for sometime now. I have been care giving for the last 5 years and in the last year it’s 7 days a week. I’m so tired mentally and physically. I decided to take the weekends off for the next few weeks. I will be going to get a body massage each week. Changed my diet and will start my exercising 20 minutes a day. And most important journal. Again the daily tips has helped me to learn about the disease and myself in this journey. I do love what I do and want to always be at my best. Again thank you!